If you aren’t familiar with this plant, you may assume that a beaked blue yucca is some type of parrot. So what is beaked yucca? According to beaked yucca plant information, it is a succulent, cactus-like evergreen shrub popular as a landscape plant in the southwestern United States. 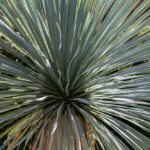 If you want to learn more about how to grow a beaked blue yucca, read on. If you aren’t growing beaked blue yucca, you might not know about this unusual succulent. Beaked yucca’s scientific name is Yucca rostrata, with “rostrata” meaning beaked. It is a large, architecturally interesting yucca plant native to Mexico and West Texas. According to beaked yucca plant information, the plant’s trunk (or stem) can grow to 12 feet (3.7 m.). It is topped by a 12-inch (30 cm.) large flower cluster that grows on top. The creamy white blossoms appear on a tall spike in springtime. Beaked yucca leaves look like lances, gathered together in rosettes of 100 or more in a pom-pom-like formation. Each leaf grows up to 24 inches (60 cm.) long but less than an inch (2.5 cm.) wide, blue-green with a toothed yellow margin. Young beaked yuccas generally don’t have any branches. As the plants get older, they develop several branches. If you want to grow a beaked blue yucca, you’ll need to know the hardiness range of the plant. Beaked yucca thrives in U.S. Department of Agriculture plant hardiness zones 6 through 11. Those gardeners growing beaked blue yucca should choose a site with full sun or at least ample sun. The beaked yucca prefers moist, well-draining alkaline soil. You’ll also want to know how difficult it is to maintain it. In fact, beaked yucca care is relatively easy. The first rule of beaked yucca care is to provide occasional irrigation in dry periods. 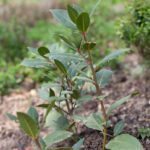 The second rule is to protect against over irrigation by installing the plant in soil with excellent drainage. Yuccas die in wet soil or standing water. The roots of most yuccas, including beaked yuccas, are vulnerable to attack by desert beetle grubs. A part of beaked yucca care is to treat plants with an approved insecticide in spring and against in summer.